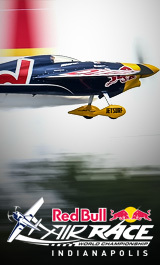 For the second year in a row, the Red Bull Air Race World Championship came down to the final flight of the final race, and both times, the pilot under pressure was Šonka. Last year, the Czech ace saw the title slip through his fingers. In Fort Worth, it was Goulian who came into the season finale with the overall lead, but after barely making it out of the opening round due to engine issues, he faced Šonka in the Round of 8. Two penalties for the American gave his Czech rival the advancement, and then the title was down to Šonka and Hall as they flew in the Final 4 along with Chambliss and Ben Murphy of Great Britain. Hall delivered 53.100s, and then it was final-flight déjà vu for Šonka. With the weight of the World Championship on his shoulders, the Czech hero delivered a perfect run and clinched the title with 52.796s.